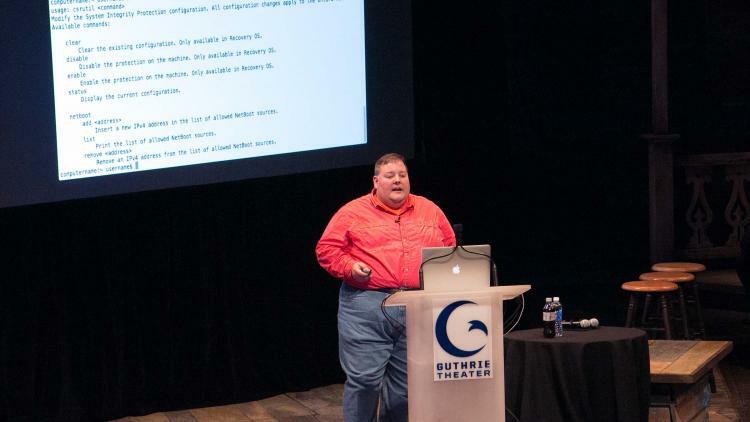 This JAMF Nation User Conference (JNUC) session was a must-see for IT admins tasked with securing the Mac platform. Rich Trouton, an Apple veteran with over 18 years of experience supporting Macs, provided an overview of Apple's security model as of OS X Yosemite. He took the enthusiastic crowd on a deep dive of System Integrity Protection (SIP), what it is, why it was introduced into OS X El Capitan, how it can be managed, and its impact on managing Macs with the Casper Suite. He wrapped up by answering questions about how to deal with SIP and imaging workflows. Check out his entire presentation.